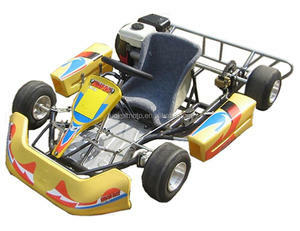 Electric racing go kart/buggy for kids,a lot of fun to ride it. 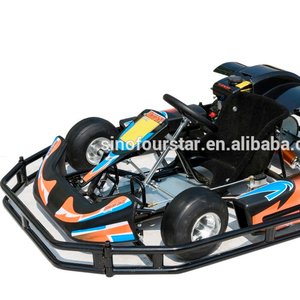 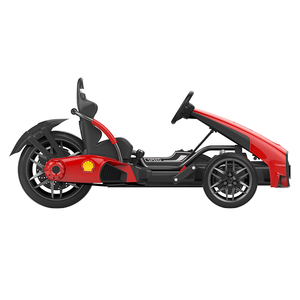 Specification: Power 1000W electric brush motor Battery 48V/12ah Gears Front, nuetral,reverse Frame Durable tube steel frame with protective roll cage Seat adjustable With secure seat belt Max speed 35km/h Speed Limit three-speed parental limit-lock function. 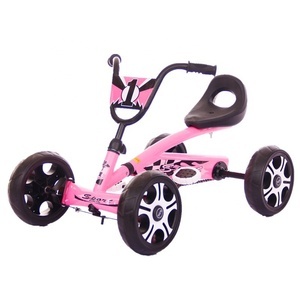 (35km/h,25km/h,15km/h) Overall length 138cm Overall width 83cm Overall height 90cm Tires 13*5-6 Max Load 90kg Brake type Hydraulic disk brake Container Loading 30pcs/20F, 88pcs/40HQ Products pictures: Why choose us9 1.EXPERIENCE : 10 years in vehicle field 2.WARRANTY TERMS Electric motor:1year Charger and controller:1year Lifepo4 battery:2years Lead-acid battery:8 months Vehicle frame or body:2years 3.EXCELLENT SERVICE We will provide timely reply for each email,our staff with good trainning for the vehicle,we can provide almost spare of the vehicle which we sold,we know after-service is how important for our dealers.